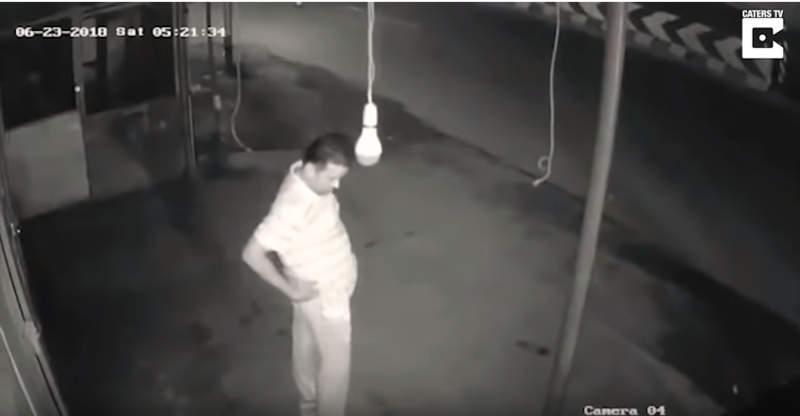 This Man Pretending To Do Exercise, Steals CFL Bulb Caught on Camera. We have seen a lot of fools around us. Many of them act smart and never realize that they are the biggest fool. In an incident same like this, a viral video is making people laugh. In the video, a man who is the most clever thief in the history, well as per his thoughts may be. Was doing exercise to fool everyone who was crossing by. What he really wanted to do was to steam the CFL bulb. Which he does, but for that he did a lot of exercises, and he successfully stole the CFL without anyone noticing. Well, at least that’s what he thought. 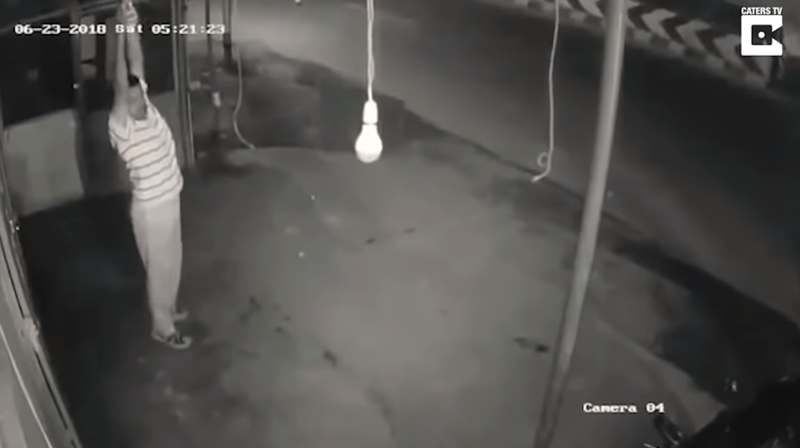 Apparently, what he failed to notice was a CCTV camera which was recording all his efforts to become the Hitman level stealth, and steal a CFL bulb. After the video got posted online, god knows what is going on in his mind now. If he has come across this. However, apart from him, everyone who has watched the video just can not control their laughter. His slick moves show how to fit he is, and I mean how many of you can spread your hands up so high that you catch a CFL bulb. And right after that, your legs get an instant dose of energy which causes accelerated speed and momentum of the juggernaut that no one can stop you after that. 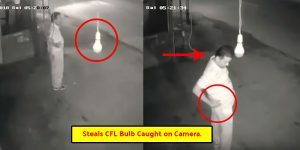 We don’t think anyone, and if it weren’t for the CCTV, we wouldn’t have had the opportunity to witness the Olympic style of stealing CFL bulb. However, it really is a massive problem in our country. People tend to steal stuff from public places. Now whether it’s from a shop or from a highway. Recently build a highway in UP, witnessed theft of all Solar Panels and light bulbs. Which come to our surprise was amounting in millions of rupees. Though this video is funny, it showcases a severe problem. People like him steal stuff from public places. Which is an enormous hurdle when it comes to development, and if it weren’t for that CCTV footage he would not have been exposed. Another reason to install CCTV cameras near your shop and home.